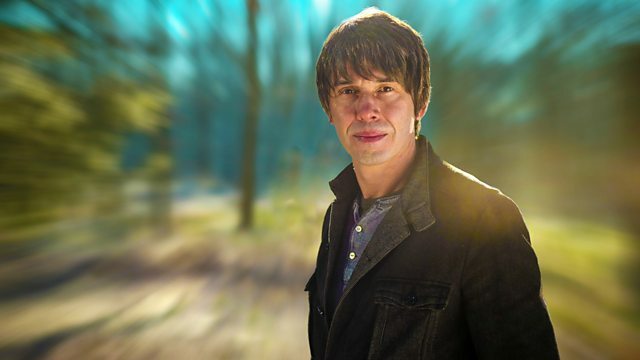 Professor Brian Cox reveals how Earth's beauty is created by just a handful of forces. In this episode Brian looks at the stunning diversity of shapes. Brian uncovers how the stunning diversity of shapes in the natural world are shadows of the rules that govern the universe. In Spain, he shows how an attempt by hundreds of people to build the highest human tower reveals the force that shapes our planet. In Nepal, honey hunters seek out giant beehives that cling to cliff walls. The perfect hexagonal honeycombs made by the bees to store their honey conceal a mathematical rule. Off the coast of Canada, Brian explains how some of the most irregular, dangerous shapes in nature - massive icebergs that surge down from Greenland and into shipping lanes of the Atlantic - emerge from a powerful yet infinitely small force of nature. Even the most delicate six-sided snowflake tells a story of the forces of nature that forged it. Why do bees build hexagonal honeycombs? Why Does Gravity Make Earth Round? How do you chase the Northern Lights? What burns with a blue flame? How do you surf in the middle of the jungle? Find out more about the incredible Human Towers using our interactive videos.